Reunion show announced for June 25th! Boneanchor / Frog Legs is returning to The Broadberry on June 25, 2016! (It's been two years since our last live performance!) We will be sharing the night with the spectacular Manatree. This will be a special night for us with Tom (guitar) back from Budapest and Turtle (bass) returning to the fold. We're working on the setlist now to make it a great show. See you there! We are a rock n' roll band. 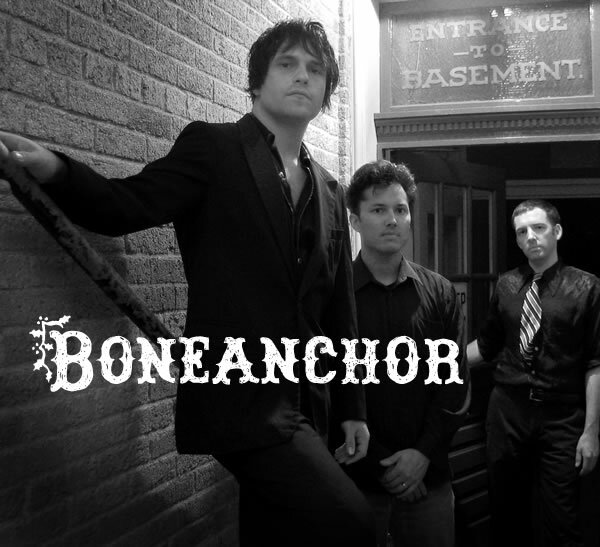 Boneanchor is a rock band from Richmond, VA. Morgan Huff (drums), Tom Illmensee (guitar), Wrenn Mangum (vocals) and Turtle Zwadlo (bass, when available). Serving you sounds since 1992. Previously known as Frog Legs before 2001. Boneanchor / Frog Legs reunion show! w/ Manatree! $10 - Get Tickets! The Wrenn Mangum show– Rockabilly riot!